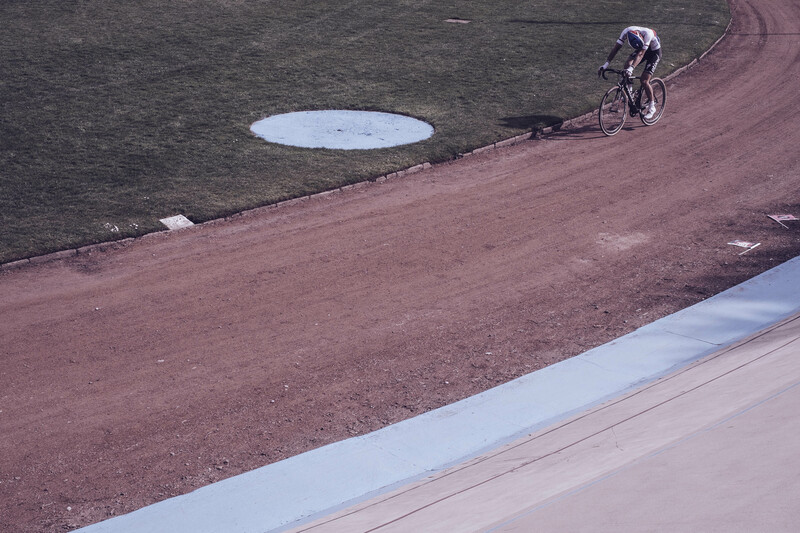 Continuing our more melancholic theme, Ian Walton‘s photograph captures the silent moment when the race has finished and someone else triumphed. At Roubaix, I wanted to try and find a spot where the winner and losers would have a moment to reflect after finishing. So I gambled on the 200m mark on the track as I know they roll around after crossing the line, mingling with those still finishing. Zdeněk Štybar had been foiled again in a Classic and I got the moment I wanted – a few seconds to himself, to take in what had just happened. Previous PostVeloVoices Advent Calendar 7: What if?